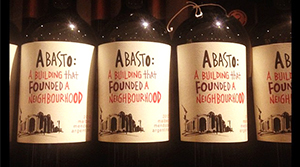 A new wine label designed by Julie Morton features a sketch by Mike of the Abasto market building in Buenos Aires. The Malbec wine is produced for restauranteur and wine merchant Diego Jacquet at ‘Abasto’ on Connaught Street, London. 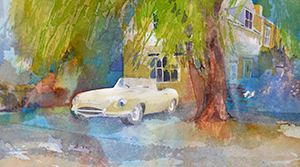 A cream convertible ‘E-Type’ Jaguar was the inspiration for a commissioned watercolour painting depicting the classic car. 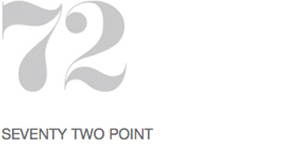 Ibbotson Studios has been showcased in the portfolio of work by London-based 72pt, an independent creative practice led by Julie Morton. 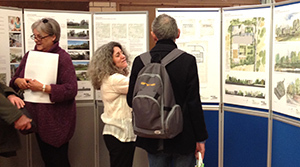 Visit www.72ptdesign.com for more examples of their excellent design work or to discuss a brief.